Posted on December 5, 2012 by Michele D.
A few months ago, I blogged about the yummy Lemon Drop Martinis we’ve been making to kick-off our Friday night Shabbat celebration. Well, this past week, we had some non-martini lovers at our house, however we didn’t discover this fact until after I’d already mixed up a double batch of said martinis. Soooooo, my hubbie had the great idea to turn the martini into a shot … hence our new favorite Friday night drink – the lemon drop shot. The martini recipe works perfectly to make several rounds of lemon drop shots that are sure to help you kick-start your Shabbat Happy Hour. Give it a try and let me know what you think? Happy Kosher Treif Cooking … and drinking! 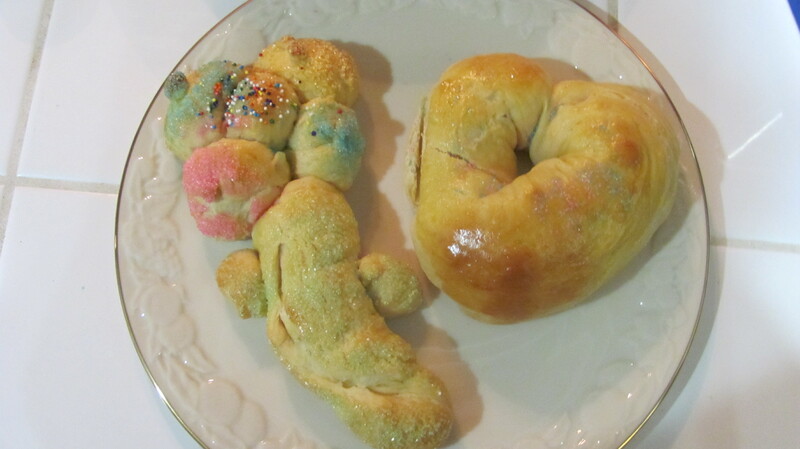 Posted on July 27, 2012 by Michele D.
While I was making Challah last night, my 6-year-old daughter Zoe, who NEVER wants to help with the Challah, asked if she could have some of the dough to make her own creation. And while I’m sure it’s against some rule for us to make fun and lively designs during the nine days leading up to Tisha B’Av, I just couldn’t squash her excitement and tell her no. 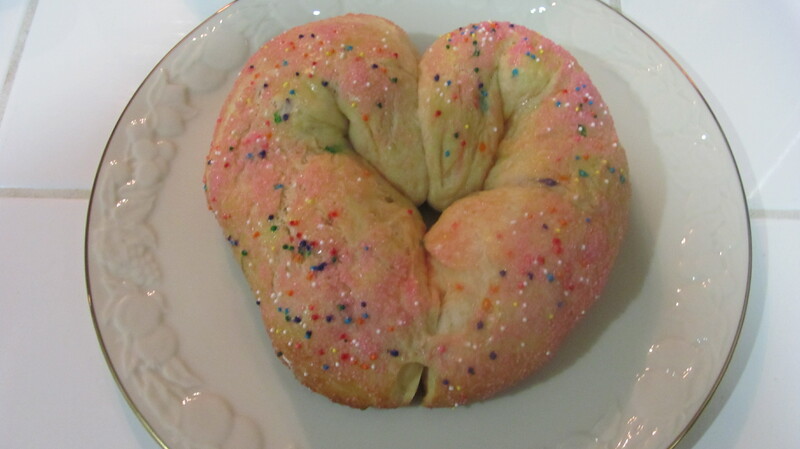 The resulting Challah included two beautiful hearts … yes those really are hearts … and a flower. I think she did a wonderful job, and I’ll be proud to bless these artistic creations tonight before dinner. What sort of Challah shapes do you make? Anything fun and creative that we could copy during our next baking session?